It’s not every day that you might stumble upon a fully-assembled rocket while wandering around campus — but if you were to have visited the first-ever UBC Rocket open house at the Engineering Student Centre on April 27, you would have found just that. According to Patricia Loo-Xu, the team’s organizational development officer, the dual aims of the event were to give members of UBC’s undergraduate rocket design team the opportunity to share some of their knowledge of rocketry with the UBC community, as well as to recruit new members. Despite having only existed for two years, UBC Rocket has already enjoyed some notable success like winning first place in the 10,000 foot commercial-off-the-shelf category at last year’s Spaceport America Cup, an intercollegiate competition that brought together over 100 rocket design teams. Displayed prominently outside the student centre was Cypress, their winning rocket from 2017. With its bright white body and red nose and tail sections, it was difficult to ignore on the way inside to view some of the other projects the team has been working on over the past year. Among these projects was the construction of Hollyburn, another 10,000 foot rocket and Black Tusk, a 30,000 foot rocket. Both of them will be taken along with Cypress to the 2018 Spaceport America Cup in June. Black Tusk will be the team’s first supersonic rocket, capable of traveling up to 1.6 times faster than the speed of sound. Designing a rocket that could perform at those higher speeds presented a new set of challenges for the team, said Joren Jackson — one of the club’s co-founders — particularly when it came to modelling how the rocket would behave. “As soon as you break the speed of sound, or even get close, it becomes a lot harder to predict what’s actually going to happen,” he said. Another project was the team’s payload program, which gave teams from local secondary schools the opportunity to design and construct payload modules that will be launched on Cypress and Hollyburn in June. The team received a variety of submissions, from a camera that will record the rocket’s flight to an experimental module designed to assess the effects of a rocket launch on a Raspberry Pi, a popular and inexpensive single-board computer that could potentially be used on future rockets. A final project the team had on display was their progress towards their ambitious long-term goal of constructing a liquid-fuelled rocket capable of reaching the Karman line, which, at 100 kilometres above earth’s surface, officially marks the edge of space. According to Simon Bambey, the technical lead on the space shot project, UBC Rocket is one of many collegiate design teams working towards this goal in what has developed into an unofficial space race. Compared to the development of Black Tusk, Cypress and Hollyburn, this project has presented the team with a number of new challenges, one of which is simply ensuring that the rocket will fly straight. The team spent the past year designing, testing and refining the engine technology for the eventual space shot rocket. So far, they have only been able to do cold flow trials, which utilize water rather than propellant as a means of testing the various components of the propulsion system. But they hope to begin hot fire testing soon, and they are in the process of finding a suitable site to conduct those trials. 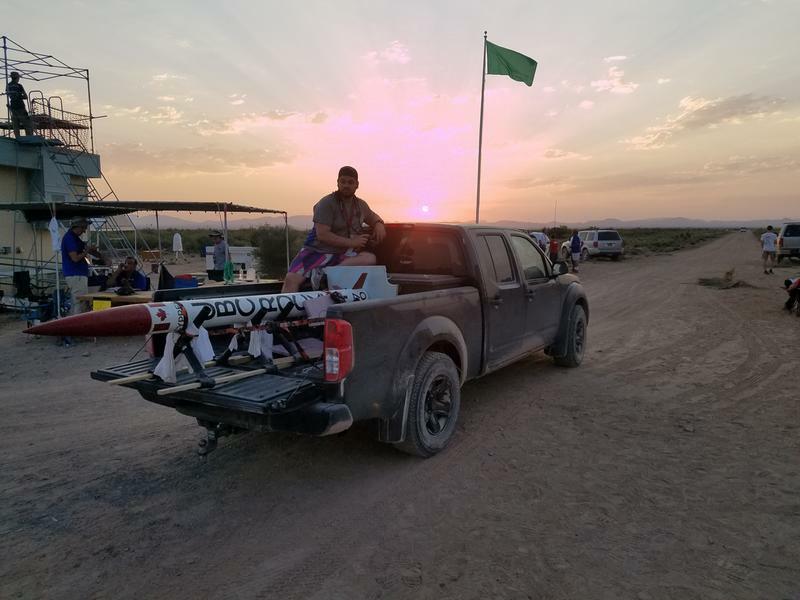 Through working on ambitious projects like Black Tusk and the space shot rockets, the team hopes to provide its members with unique educational opportunities in rocketry and aeronautical design that they might not be able to find elsewhere. “It’s the best learning experience I’ve had,” said Jackson.